Marvel just announced that with it having been about 9 years since we've had an, "Exiles book," and even longer since we had one that didn't get cancelled within six issues, they are going to have a new, "Exiles," comic! The writer will be Saladin Ahmed and the artist is Javier Rodriguez, so a solid team. 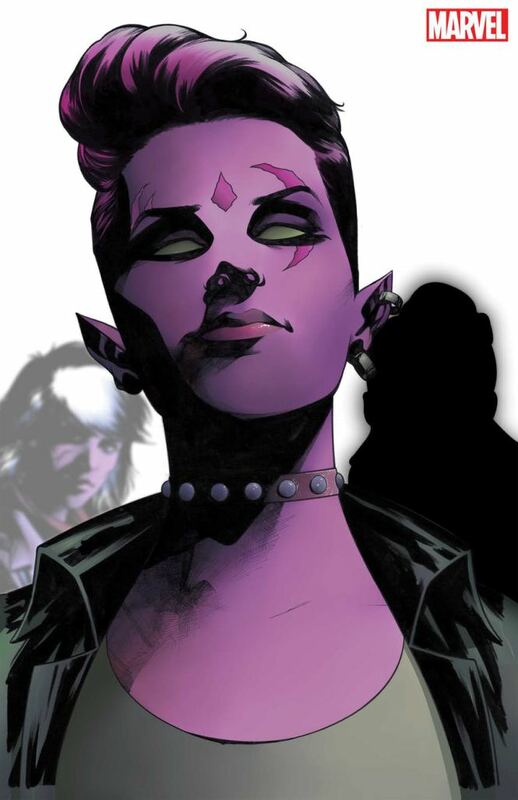 For those who don't know what, "Exiles," is/was, it existed as an X-Men-ish comic where a cast of mostly-mutants found themselves traveling to a variety of alternate dimensions. These adventures involved them usually having a random task they needed to solve for that world before going on to the next one (think, "Sliders," or, "Quantum Leap," but with X-Men). Anyways, it is coming back now and will feature a team led by, "Blink," who spent a good deal of time as an, "Exile," back in the day. As someone who love alternate-universe tales and has always gotten a kick out of seeing various parts of the Marvel Multiverse I loved the original comic back when it came out in 2001 under Judd Winick and then a variety of writers both good and terrible. There was also a short-lived run in 2009 under Jeff Parker that fizzled out quickly and was cancelled within six-issues. I don't know if the new book is going to (tentatively) be an ongoing comic or a limited series, but I'm just happy to see a new(ish) Marvel book I'm actually excited for. I wasn't excited for the re-launch of, "Runaways," under Rainbow Rowell but of course love it now, and I'm enjoying the current, "Moon Knight," comic but that wasn't really new considering we seem to have had a Moon Knight comic coming-out nearly constantly with just the occasional few-month gap ever since Charlie Huston's phenomenal run on the character some years ago. Therefore, we've not had a new book for me to get pumped about reading in some time from Marvel. 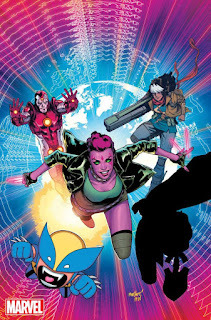 I mean, even calling, "Exiles," a new book is pushing it as it is kind a re-launch, albeit one that took 9 years to happen. Still, the fact I'm at least intrigued and eager to see a team of mutants explore various realities of the Marvel Universe is a good thing. I just hope this is good and doesn't have weird, "Marvel Legacy," numbering which seems to confuse potential readers and drive them away moreso than drawing them in.